Research on gated communities is moving away from the hard concept of a 'gated community' to the more fluid one of urban gating. The latter allows communities to be viewed through a new lens of soft boundaries, modern communication and networks of influence. 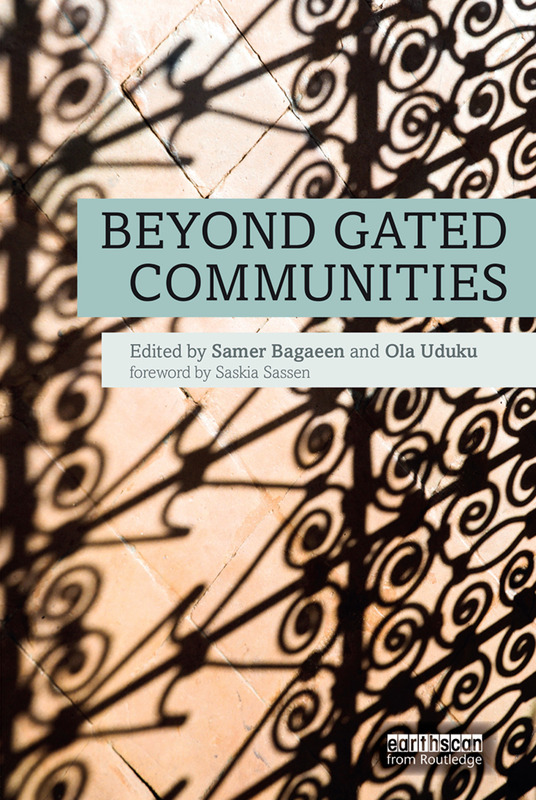 The book, written by an international team of experts, builds on the research of Bagaeen and Uduku’s previous edited publication, Gated Communities (Routledge 2010) and relates recent events to trends in urban research, showing how the discussion has moved from privatised to newly collectivised spaces, which have been the focal point for events such as the Occupy London movement and the Arab Spring. Communities are now more mobilised and connected than ever, and Beyond Gated Communities shows how neighbourhoods can become part of a global network beyond their own gates. With chapters on Australia, Canada, Europe, South America, Asia, Africa and the Middle East, this is a truly international resource for scholars and students of urban studies interested in this dynamic, growing area of research.